Aluminum pioneer Charles Martin Hall was born in 1863 in Thompson, Ohio (Geauga County), and moved with his family to Oberlin in 1873. Hall graduated from Oberlin College in 1885, studying chemistry under Professor Frank Fanning Jewett (1844-1926). Jewett, who lived in this house from 1884 to 1923, encouraged Hall's interest in chemistry and aluminum, then a semi-precious metal. Hall discovered an electrochemical reduction process for producing metallic aluminum from aluminum oxide dissolved in molten cryolite in his woodshed laboratory at his family's home at 64 East College Street on February 23, 1886. This process, the culmination of research with Jewett, became the basis for the aluminum industry in America. In 1888 Hall co-founded the Pittsburgh Reduction Company, later the Aluminum Company of America (ALCOA). Upon his death in 1914, Hall left one-third of his estate to Oberlin College. 41° 17.385′ N, 82° 13.205′ W. Marker is in Oberlin, Ohio, in Lorain County. 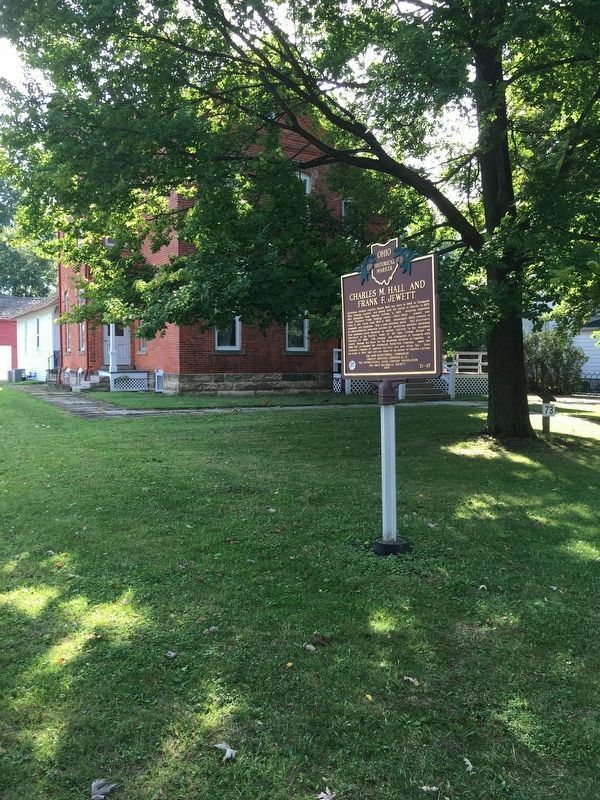 Marker is on South Professor Street 0.1 miles south of W College Street, on the left when traveling south. Touch for map. It is in the town of Oberlin where Oberlin College is located. It is near the Oberlin College Conservatory of Music. Marker is at or near this postal address: 73 South Professor Street., Oberlin OH 44074, United States of America. Touch for directions. Other nearby markers. At least 8 other markers are within 12 miles of this marker, measured as the crow flies. The Burrell-King House (approx. ¾ mile away); Great Kipton Train Wreck (approx. 4.7 miles away); Sandstone Center of the World (approx. 7½ miles away); Archibald M. Willard (approx. 8.4 miles away); Spirit of ’76 (approx. 8.4 miles away); Vietnam Veterans Monument (approx. 8½ miles away); Lake Shore Electric Railway (approx. 11.6 miles away); Helen Steiner Rice (approx. 11.9 miles away). More about this marker. 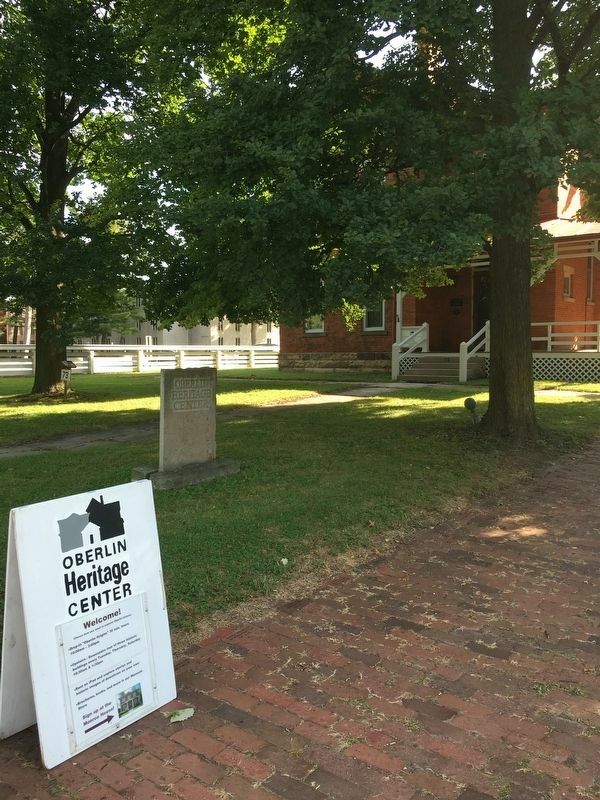 It is in front of the Oberlin Heritage Center. More. 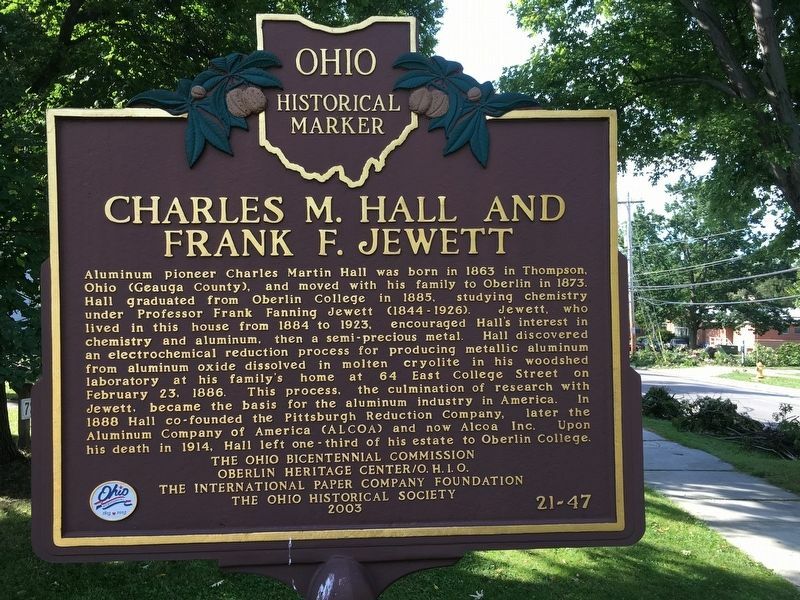 Search the internet for Charles M. Hall and Frank M. Jewett. Credits. This page was last revised on September 16, 2016. This page originally submitted on September 15, 2016. This page has been viewed 117 times since then and 5 times this year. Photos: 1, 2, 3. submitted on September 15, 2016. • Bill Pfingsten was the editor who published this page.